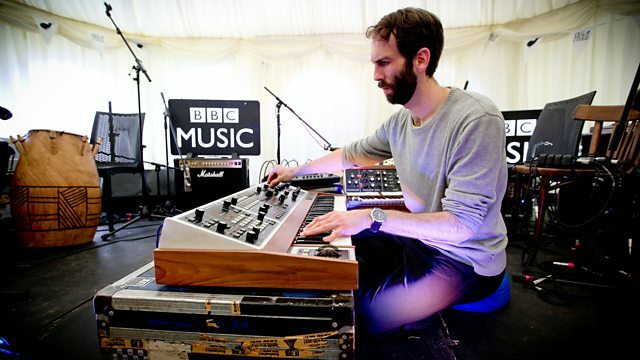 Nick Luscombe presents highlights from sets performed by Matthew Bourne, Rozi Plain and Hamilton Yarns on the Late Junction stage at the 2016 Great Escape festival. Brighton's Great Escape festival is one of the UK's leading festivals for emerging bands. This year Late Junction joined the throngs at the seaside to present a showcase of artists and DJs who are pushing the boundaries. Nick plays highlights from our stage all this week, kicking off with Rozi Plain's own brand of off-kilter folk pop alongside local band Hamilton Yarns as well as pianist Matthew Bourne who performs a live version of his moogmemory project. A solo exploration of the outer reaches of the 1980s polyphonic synthesiser, the Moog Memorymoog. We also have new tracks from R&B duo 18+, a collaboration between Japanese composer Makoto Nomura and percussionist Rumiko Yabu, a recent release from Ethiopian keyboardist Hailu Mergia and a spotlight on the greatest outsider musicians in conjunction with the BBC's Get Playing initiative. hope! Our Drones Sent From Heaven. Some Best Friend You Turned Out To Be. Performer: Rozi Plain. Performer: Hamilton Yarns. The Space Lady by Amazing Thingz.